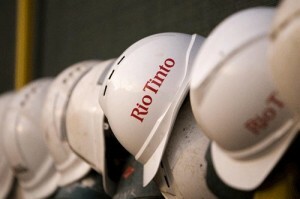 British-Australian mining giant Rio Tinto could cut down electricity production from a Gladstone gas-fired power plant next year due to a lack of competitively priced gas. This comes as $70 billion worth of liquefied natural gas projects gets ready to start up in the city, according to a report on The Australian. Skyrocketing gas prices is pushing the market in Queensland to revert to coal-fired power, and if the lack of gas availability persists, Rio Tinto said this could affect the long-term viability of their Yarwun alumina plant. In its submission to the eastern Australian domestic gas market study, Rio’s aluminium unit said the State’s gas market had become illiquid and government intervention might be needed to prevent energy shocks. “We continue to experience a domestic gas market lacking traditional liquidity and efficiency,” said Rio’s head of aluminium business development, Paul Arnold. Rio Tinto said if they are unable to secure a competitive gas supply, electricity production at Yarwun’s 160 megawatt cogeneration power plant will be reduced over the near to medium term. “In the longer term, the current market restricts growth opportunities and erodes the sustainability of (alumina) operations,” the company said. Rio Tinto’s potenatial reduction of gas-fired power follows Queensland’s largest power generator, Stanwell, which decided last month that it would mothball its biggest gas-fired power station, near Ipswich, due to high gas prices. Stanwell will subsequently resurrect a coal unit.